Height: Determines protected distance downwind. Wind reduction area will equal ten times the height of the tallest trees used. Density: Use as many species as possible in your windbreak. Plant them fairly close together, in multiple rows, to form 60-80% of a solid block. Orientation: Make it perpendicular to the direction of the wind. L U E shapes work well. Continuity: No large gaps. If you need to put a driveway through, make sure it crosses the wind direction. Length: Should exceed the height by 10:1. Good plants for NZ shelterbelts (especially in coastal conditions). Feijoa, taupata, nz flax, tarata or other pittosporums, karaka, karo, cabbage tree, pohutukawa, ngaio, toetoe. As always, choose plants that grow well locally. Theme song for this post: Gimme Shelter – Rolling Stones. Kept playing in my head the whole time I was writing this. Think of it as a mantra for windbreaking. I’m quite the fan of bamboo. It’s incredible stuff. Bamboos are the fastest growing woody plants in the world. One of the more common bamboos (Gigantea) has a tensile strength twice that of steel. Different species are used in construction, ornamental, for medicine, for food, for torture – unbelievably useful. I also love how the wind sounds blowing through it. I’m trying to do some research into non-running bamboos, a.k.a. sympodial varieties, to provide some shelter. That seems to be the main purpose for growing bamboo in NZ. I’ll be able to use stems as garden stakes, maybe for some building projects and if I get the right variety, to put in my sushi. Clumping bamboos generally grow slower then the running-type, a.k.a. monopodial varieties. New shoots only develop close to older stems, mainly in autumn, but twice annually in rich soil. They harden over winter and put on leaf growth in spring and summer. 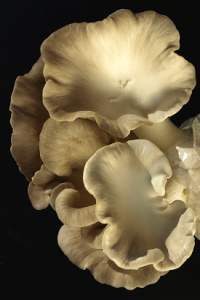 In the very cool but very warm plant product category this week, we have Greensulate – a low-cost, rigid insulating board made from mushroom spores. Spores from oyster mushrooms are used in the board which according to David Blume can be grown on distillers grains. Another part of link in the permacultural chain? Corn – alcohol – distillers grains – oyster mushrooms – earthworms – castings – and insulation board? I may have to get one of these NZ oyster mushroom kits for Christmas. Watch the video Stop Global Warming by Growing Styrofoam with Fungi on YouTube.com.